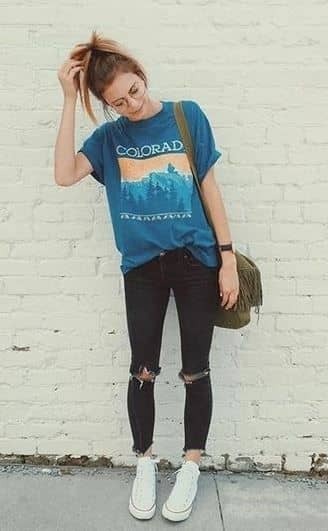 Remarkably, jeans provide a uniquely versatile “canvas” that can be dressed up or just as easily toned down with the proper accessories. 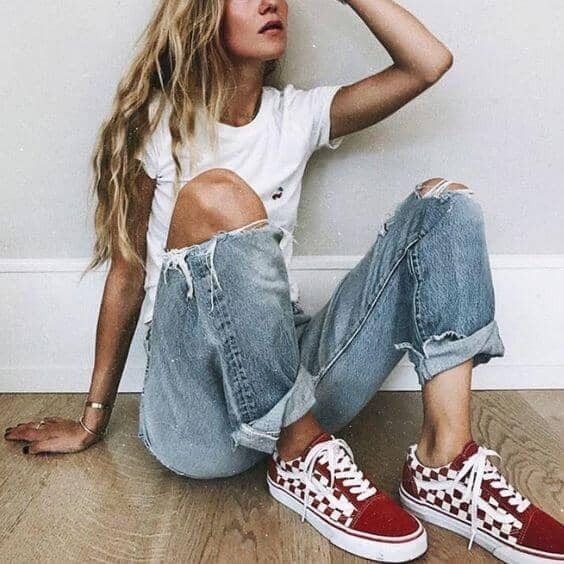 As a matter of fact, denim has remained an important staple in the fashion industry following the counterculture era. As a result, it has undergone many changes that echo with the changing of times and values. 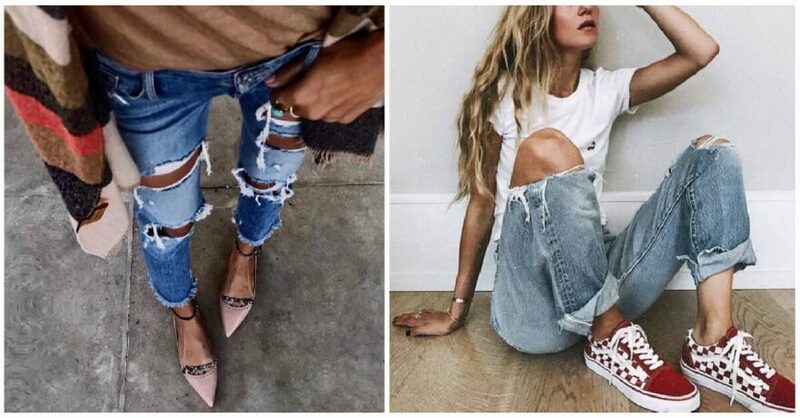 Likewise, distressed denim is one particular trend that continues to stay relevant. 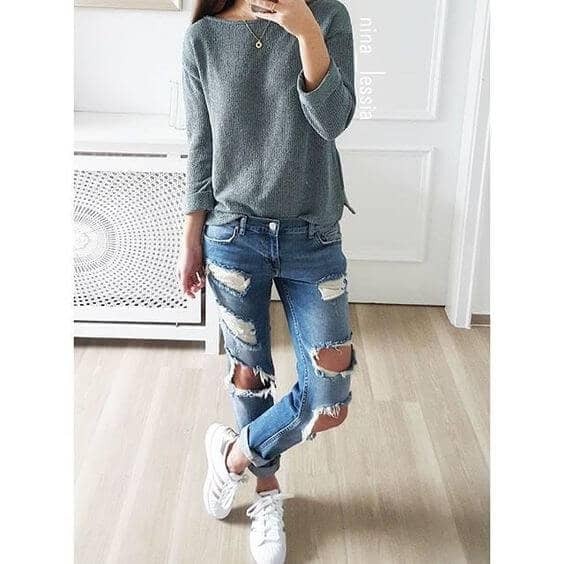 What is great about this style is that ripped jeans have their own distinct edginess. This can be played up with a leather moto jacket, or mesh blouse. 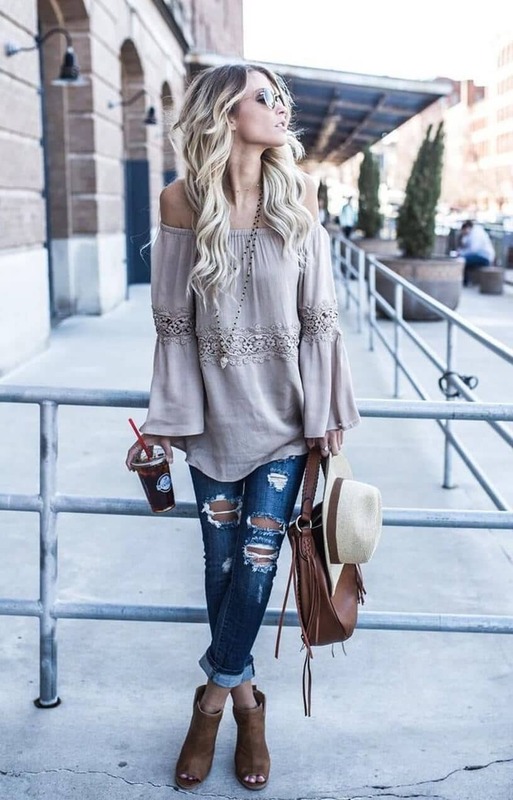 Similarly, distressed denim is softened with sweater – type knits or simply by styling with flowy, ultra – feminine materials, such as lace or silk. 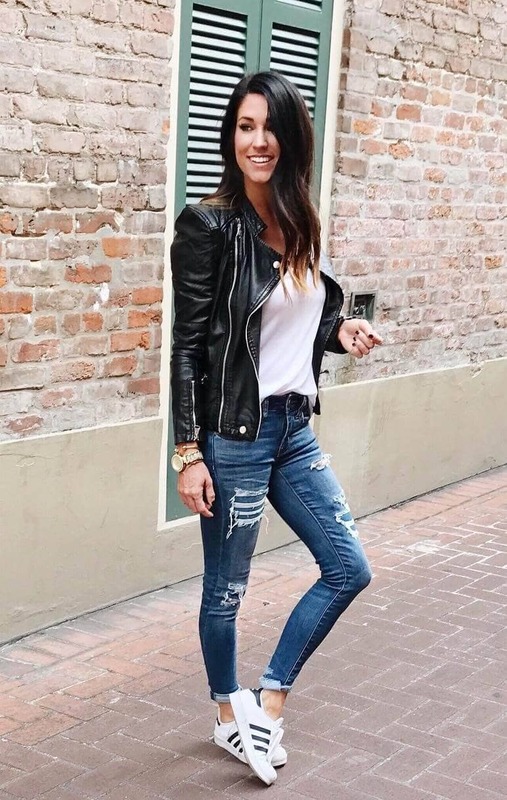 With cooler fall weather starting to set in, not only is this classic denim trend incredibly versatile, but it is just as easy to transition ripped jeans to suit the changing weather between the seasons. 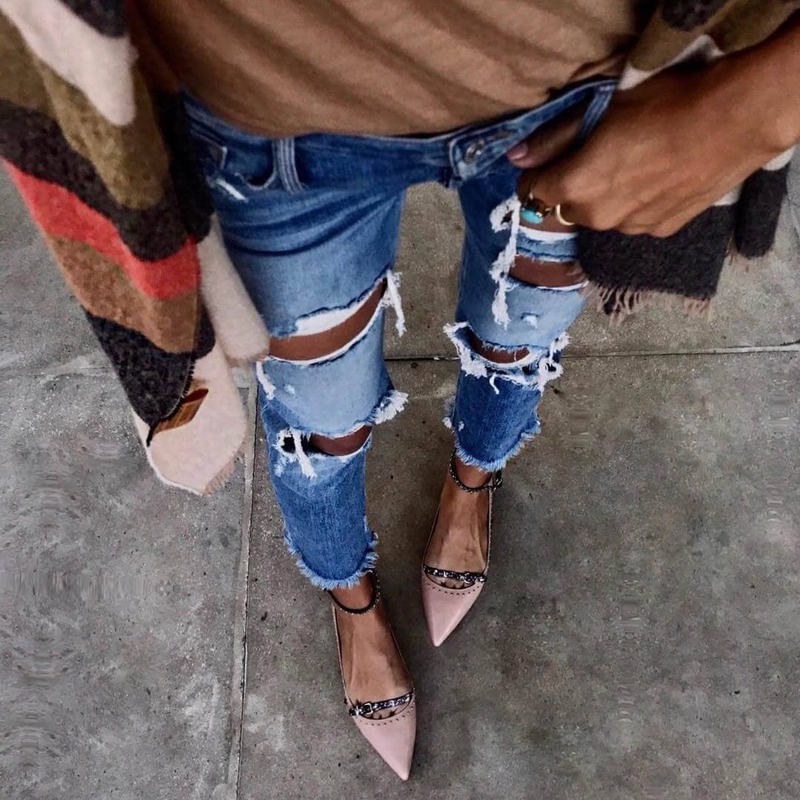 Thus, the possibilities are truly endless for this capsule wardrobe essential — your ripped jeans will blend seamlessly into your existing clothes. 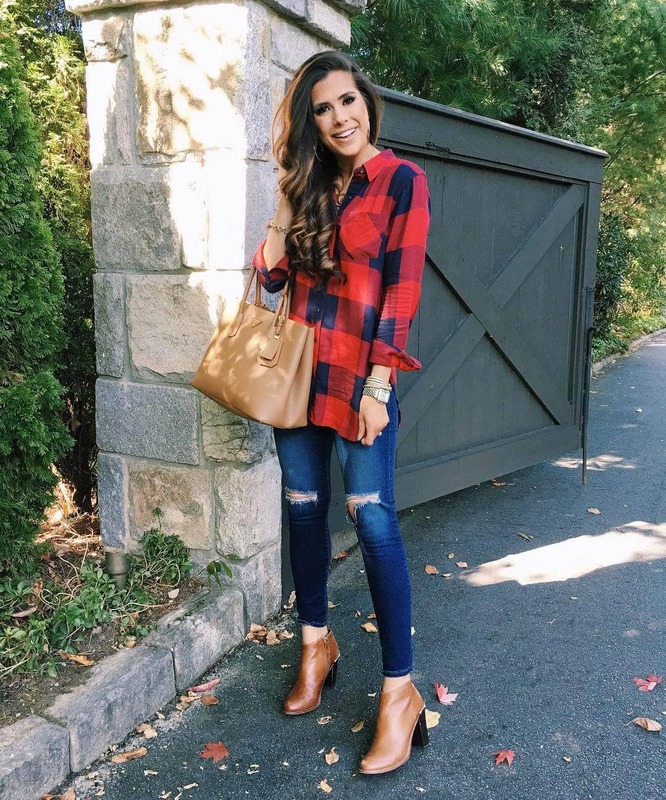 Read on below for more inspiration, that you can use to style your own stylish distressed denim looks that are perfect for fall!